I’m psyched to be doing this! Here’s a preview of the new YA stories we’ll be reading on buqo very soon! #buqoYA started with over a hundred people signing up. 89 sent in the first activity, which made them officially part of the class. They plotted and wrote a YA romance story in 5 weeks, following some guidelines and challenges I gave them. They were grouped into four trope categories (the challenge was to write a story using a certain trope) and they supported each other on Twitter, email, coffee shop meetings and elsewhere. 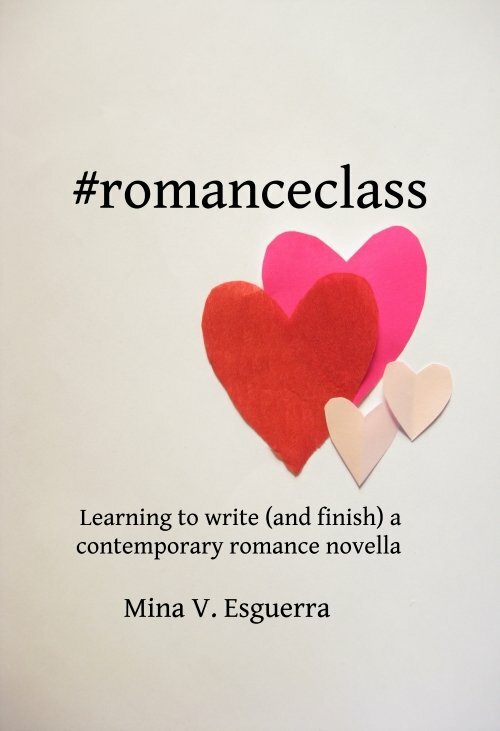 The class is also a crash course in self-publishing, so part of what made this so difficult was that the authors had to be in charge of the fate of their story. Not just writing — they had to set up their feedback/beta reader/critique system, find editors, cover designers, and deal with the retailer who will be selling their story as an ebook (in this case our sponsor buqo). Some authors who joined are already indie publishers so they know this by now; they were very helpful and supportive of those who are going to be doing this for the first time. It doesn’t end with the ebook going live and being sold. We as readers/spectators to this project can continue to help the authors by reading their work, giving them feedback, sharing the story if we love it. Encourage the authors, and see this (if you’re an aspiring author) as proof of what you can do in five weeks and with some help. Next, the authors can relax a bit, because the next step is the actual publishing leg work. I will be reviewing stories and creating bundle combinations. buqo will be converting ebooks. What’s making Mayumi anxious on her best friend’s birthday party? Is it her long time best friend Marie? Marie is now in college, and Mayumi starts to doubt their friendship as Marie meets new people and gets closer to them. Or is it this basketball player named Micah? A guy she recently met and who has turned into an overnight confidant. Do you know someone tagged as a KISS? Nastasha and Stefano are both aware of the uncanny relationship they have as best friends. Nash has always been the KISS or knight-in-shining skirt – always so protective of Stef. In her, Stef found a personal on-call heroine. Stef, on the other hand, is often seen as vain, weak and feminine, making him the perfect bully target. Until one day, Stef realizes it should be the other way around. It is time to switch their roles and be his best friend’s protector and defender. But being the strong-willed girl that she is, Nash just cannot deal away with her tough nature. Will Stef prove his worth and fulfill the new role in their friendship? Will this be the bridge that can take their friendship into something more? Seventeen-year-old Freya Mahilum has always been in love with football hotshot Ezra Montelibano. Ezra, who’s too caught up with family pressures and his so-called girlfriend to pay attention to a geek obsessed with him. Freya knows she’d never stand a chance with him, but then fate conspires to bring them together. Will getting to know each other prove that love knows no boundaries or will they find that they’re better off existing in two separate worlds? Like. Retweet. Follow. Fall in Love? They say that that the things we own tend to own us in the long run. Today, at a time when we’re connected 24 hours a day and 7 days a week, social media has helped shaped who we are, how we want to be seen and how we deal with other people. And if that’s the case, then who knows us better than our own social media accounts? This is the story of Patch and Sebastian who met in real life, as told by their digital selves. This is their story in the time of #hashtags, inspiration boards, and viral videos. Rica Valdez has always been one of the guys, so it was hard for her to find a prom date. When her new friend and crush Joshua Fernandez volunteered to take her to the prom, she wondered if he liked her back too, or was he just being nice? When Cass goes to a trip to Corregidor, she thinks that it’s the key to finding closure over her sister’s death. But things change when she gets mixed up with the wrong tour group where she meets Noah, a budding filmmaker and photographer who wants to relive his grandfather’s war stories through the tour. As they explore the historic island together, will Cass and Noah find what they are looking for? Or will they find something more, like a chance to fall in love, too? Sino sa inyo ang unang aamin? Isang ulirang estudyante, kaibigan at anak si Danielle Natasha Lastimosa. Ang kanyang pagsisikap, talino at kabutihan ang nagdala sa kanya sa Philippine Institute of Arts, Entertainment & Culture (PHINAREC), ang pinaka-una at natatanging paaralan para sa mga nagnanais makapasok sa larangan ng sining, kultura at libangan. Maayos na sana ang kanyang buhay-estudyante nang isang Jairus Roman Vera-Perez ang biglang nagpagulo rito. Ang lalaking iyon ang anak ng may-ari ng PHINAREC, pero ito rin ang pinakalider pagdating sa katamaran, kayabangan at kakulangan ng disiplina. Pagtatagpuin sila ng isang kakaibang proyekto para sa kursong kanilang pinag-aaralan. Maging mitsa kaya ito ng lalong paglala ng kanilang bangayan, o ito na kaya ang magsilbing daan para sila ay maging magkaibigan – at magkatuluyan? Masabi kaya nila sa isa’t isa ang katagang “I’LL KEEP ON LOVING YOU ALL MY LIFE”? Are our paths already laid out for us, or can we make them ourselves? Andrew’s always been the easy go lucky guy, but that doesn’t mean that he’s not smart and appealing; it’s just that he chooses to go through life in a fuss-free, no nonsense way. When Andrew and Clara’s paths meet, things don’t exactly go easy. They hated each other with a passion, but then they got to share unexpected moments, and end high school with a memory that they’ll never forget. In college, they lose each other, and Clara has to go through the hardest things on her own–until a trip back home sends them to each other’s paths again. Denise knew pain at an early age. She has been waiting for her true love since she was 11, but she never gave up, knowing she’d meet him someday. What she didn’t know was that she already met the man she’s been waiting for, and that he’s sitting beside her at the airport. The thought never crossed her mind because she’s seated between two guys who broke her heart before. Rico wishes Lianne back in his life, but because of that viral article that Traecy posted on their school paper’s website, it appears to be impossible for them to be together again. Traecy on the other hand, had only one wish for her birthday, to spend it with the one she admires since high school – Rico Avila. How can fate brings the two together in a race that would definitely reveal small discoveries that can lead to two choices: either to tear them apart or hope for a more unexpected relationship? With the help of her aunt Lucy, and her friends Paulo, Dags, and Joel, Cocoy embarks on a pink-tinged journey that somehow turns her neat and orderly life upside down. But it’s all good—because in the midst of her blossoming relationship, Cocoy learns a whole lot about life, love, dreams, and friendship . . . and about the healing power of pan de sal, Chippy, and Nutella.